Home / Up To Speed / Is “Harley and the Davidsons” Accurate? Is “Harley and the Davidsons” Accurate? 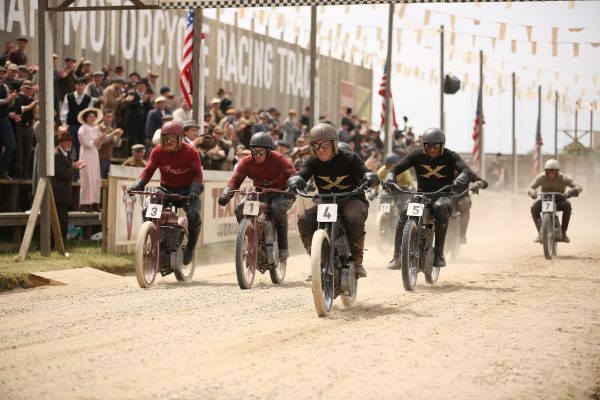 September 6, 2016	Comments Off on Is “Harley and the Davidsons” Accurate? Is “Harley and the Davidsons” accurate? My answer to those folks inquiring today following last night’s premiere of part one of the three-parter is probably somewhere between “somewhat” and “damned if I know.” Without detailed record-keeping or recordings of conversations (and certainly no social media) a hundred or so years ago, knowing the specifics of what actually transpired versus what’s depicted in the six-hour Discovery Channel miniseries is difficult to gauge. 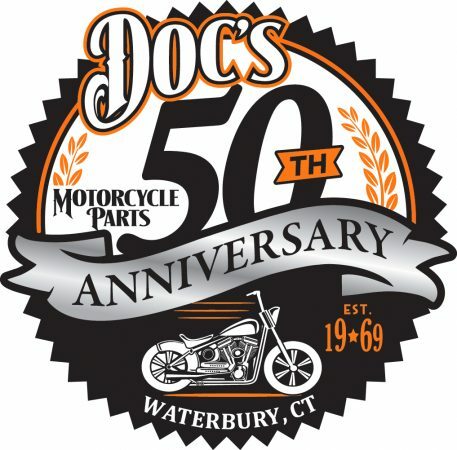 Harley-Davidson reportedly has no official involvement in this recreation of the company’s early years, although it did open its archives and museum for research purposes. 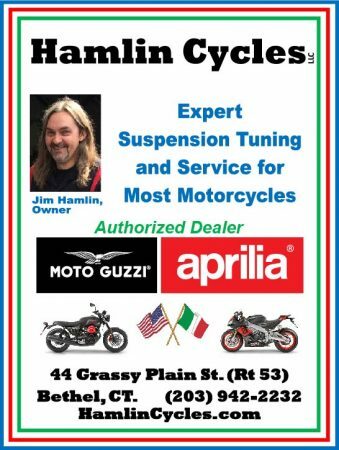 “Adweek” magazine quotes Rich Ross, group president of Discovery Channel, Animal Planet and Science Channel, as believing Harley-Davidson will be pleased. “I’ve said to them, ‘This is an homage to one of the great American stories. The three leads are heroes, they did things that are extraordinary, you will be proud,'” said Ross. No doubt. 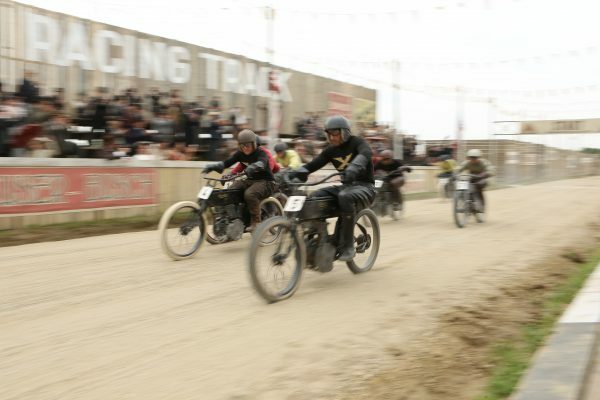 But despite the exciting race scenes, the outside enemies and repeated money woes always threatening to take the brand under, “Harley and the Davidsons” plays as much like an intense infomercial for Harley-Davidson as an entertainment event; continually making the point that there’s the Harley-Davidson brand and a host of wannabes. That’s only an observation, not a gripe. 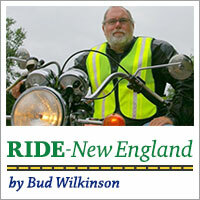 In fact, if I were Harley-Davidson, I’d be making sure all my dealers had huge supplies of vintage apparel in stock. On the flip side, I’m also guessing that Indian (the current incarnation owned by Polaris) is livid. It’s founders, George Hendee and Oscar Hedstrom, are undoubtably kicking their coffins in outrage. 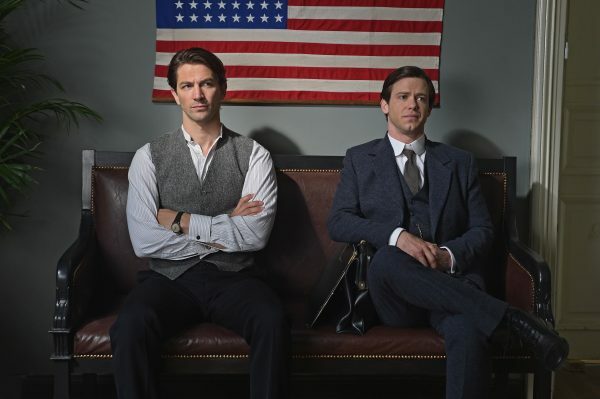 Harley-Davidson’s founding trio of Walter Davidson (played by Michiel Huisman), Bill Harley (Robert Aramayo) and Arthur Davidson (Bug Hall) are uniformly shown to be talented, determined, uncompromising, ethical, patriotic and just about every superlative imaginable. Indian’s executives, meanwhile, are tarred as arrogant, underhanded and ill-prepared. Granted, every good drama needs heroes and villains, but, having already seen all three installments, what “Harley and the Davidsons” lacks is any nuance or shades of gray in the executive suites. Hendee (Philip Brodie) is a self-absorbed dandy, a stark contrast to the working class Harley boys. Hendee’s successor in running Indian, Randall James (Dougray Scott), is just ruthless. 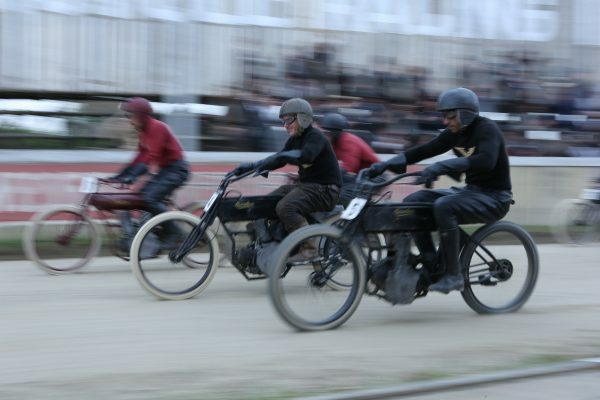 This all being said, “Harley and the Davidsons” is an extremely fun program to view. It’s well-acted, the race sequences using vintage replicas are exciting, and the editing crisp. There are sufficient side plots – romance and illness, for instance – to make it more than a simple motorcycle show. 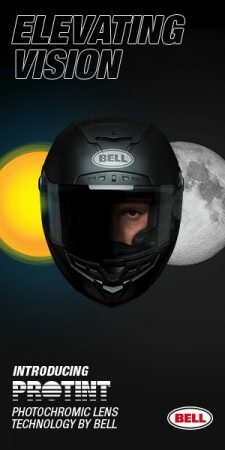 I got to see a “rough cut” – one scene had an actual “green scene” in the background – and enjoyed every minute because it captures the spirit and essence of the early days of motorcycling. I’m guessing the finished product looks even better. And who’s going to argue about its accuracy? All the original players are dead. And what do you expect from a dramatic TV show? 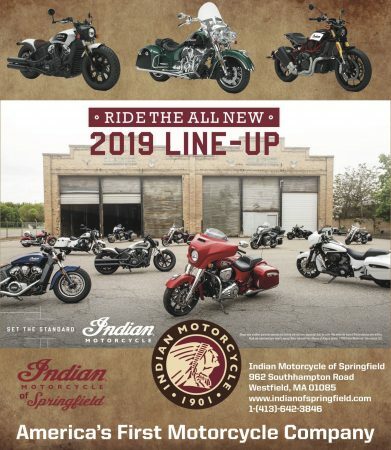 With the Indian brand now having been successfully revived, and soon to re-enter flat track racing against Harley-Davidson machines, “Harley and the Davidsons” does serve to provide a look-see into the past, albeit a one-sided background to the rivalry.